Organic Frankincense Essential Oil (Boswellia carterii) is a very rare, wildcrafted oil, steam distilled from the gum of Boswellia sacra trees. This sacred essential oil is uniquely warm, rich and spicy, with a scent described as clean, woody, fruity and peppery. It is soothing and comforting. Research shows essential oils hold exciting promise for supporting emotional, physical and spiritual well-being. Interestingly, frankincense has always been in high demand and history tells us many fascinating things about how ancient cultures used it. Tradition tells us that, in Babylon, nearly 60,000 pounds of frankincense resin burned annually for its aromatics and its role in rituals. Later, we see the Magi bringing frankincense along with gold and myrrh to the infant Jesus. 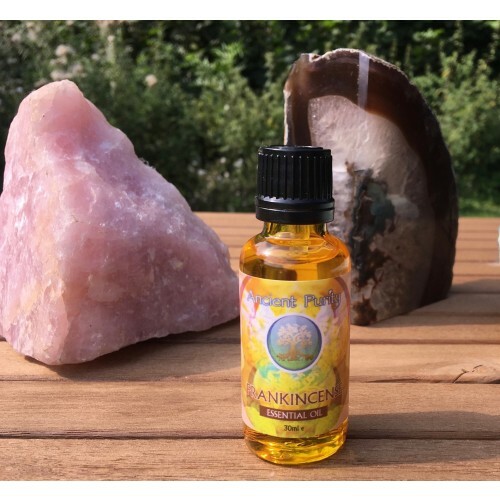 More than a costly, fragrant gift, the ancient healing benefits of frankincense are well documented and have made this tree resin famous today. Frankincense oil immediately induces the feeling of peace, relaxation and satisfaction. Add a few drops of frankincense oil to a hot bath for stress relief. You can also add frankincense to an oil diffuser or vaporiser to help fight anxiety and for experiencing relaxation in your home all the time. Some people believe that the fragrance of frankincense can increase your intuition and spiritual connection. 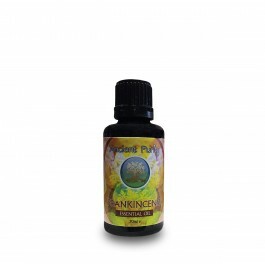 Frankincense essential oil is a powerful astringent, meaning it helps protect skin cells. It can be used to help reduce acne blemishes, the appearance of large pores, prevent wrinkles, and it even helps lift and tighten skin to naturally slow signs of ageing. The oil can be used anywhere where the skin becomes saggy, such as the abdomen, jowls or under the eyes. Mix six drops of oil to one ounce of unscented oil and apply it directly to the skin. Be sure to always do a small patch area test first to test for possible allergic reactions. If you have any digestive distress, such as gas, constipation, stomach aches, irritable bowel syndrome, PMS or cramps, frankincense oil can help relieve gastrointestinal discomfort. It helps speed up the digestion of food, similar to digestive enzymes. Add one to two drops of oil to eight ounces of water or to a tablespoon of honey for GI relief. If you’re going to ingest it orally, make sure it’s 100% pure oil; do not ingest fragrance or perfume oils. Frankincense oil can help with wound healing and may decrease the appearance of scars. It may also help reduce the appearance of dark spots caused by acne blemishes, stretch marks, eczema and help with the healing of surgical wounds. Mix two to three drops of oil with an unscented base oil or lotion and apply directly to the skin. Be careful not to apply it to broken skin, but it’s fine for skin that’s in the process of healing. To improve circulation and lower symptoms of joint pain or muscle pain related to conditions like arthritis, digestive disorders and asthma, try massaging frankincense oil to the painful area or diffusing it in your home. You can add a drop of oil to steaming water and soak a towel in it, then place the towel on your body or over your face to inhale it to decrease muscle aches. Also, diffuse several drops in your home, or combine several drops with a carrier oil to massage into your muscles, joints, feet or neck. When inhaled, it’s been shown to reduce heart rate and high blood pressure. It has anti-anxiety and depression- reducing abilities, but unlike prescription medications, it does not have negative side effects and does not cause unwanted drowsiness. 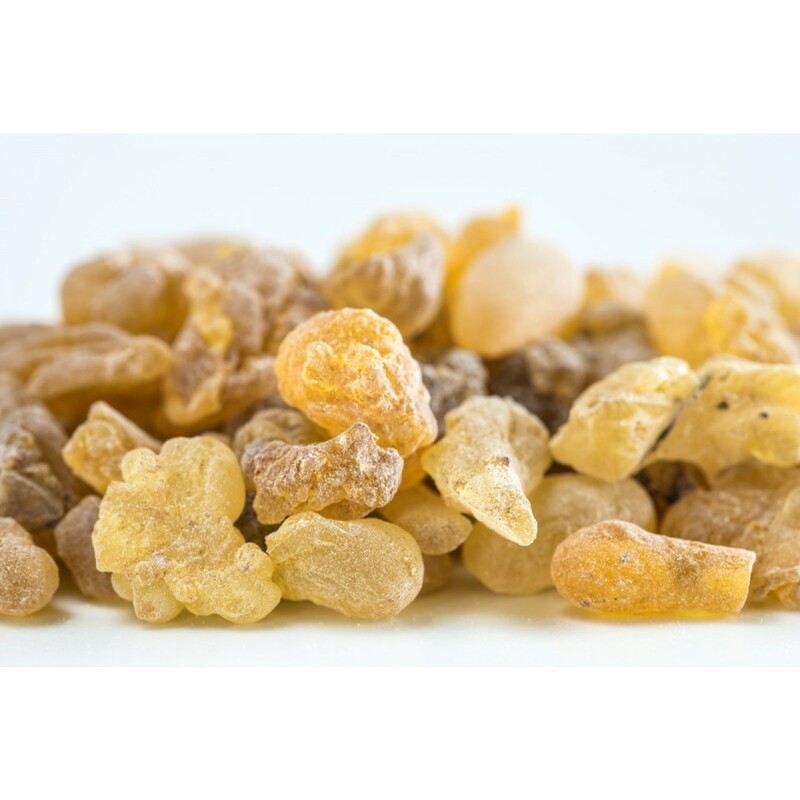 Frankincense has the ability to strengthen skin and improve its tone, elasticity, defence mechanisms against bacteria or blemishes, and appearance as someone ages. 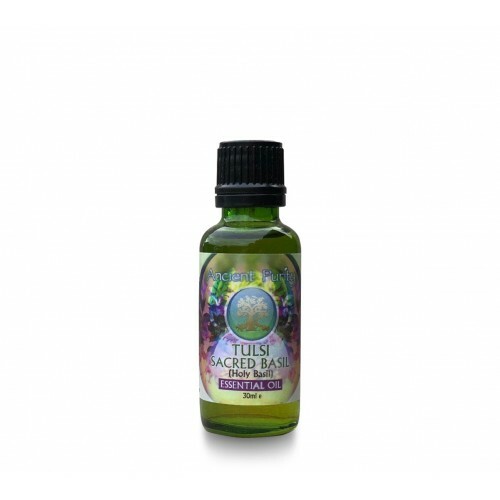 It helps tone and lift skin, reduces the appearance of scars and acne, and heals wounds. It can also be beneficial for fading of stretch marks, surgery scars or marks associated with pregnancy, and for healing dry or cracked skin. 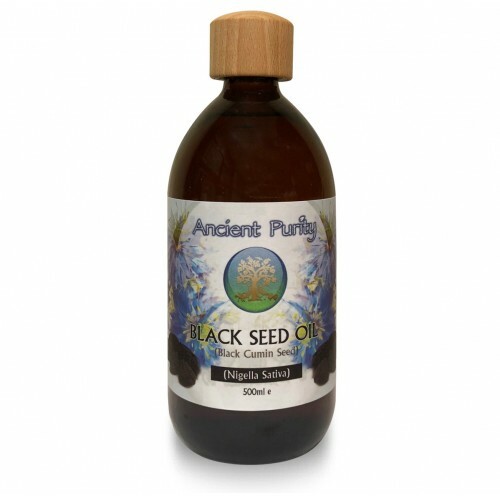 Organic Oil, steam distilled from resin. For Cleaning and Deodorising: Mix a few drops with warm water to clean and deodorize any room or surface in your home. Use in an essential oil diffuser to freshen indoor air and reduce pollution.